Since EEMA first began we have had a vision, a clear and simple vision of precise work combined with a high level of personal service. You don't just hire us, we form a partnership with you right from the start. Personal attention is reflected in our commitment of resources and personnel. It's at the heart of the way we work together for your success. A strong sense of purpose keeps us focused on helping you complete your project on schedule and within budget. In every situation, we emphasize an imaginative and cost-sensitive approach to problem-solving. Each of our clients - no matter what size, what stage of development, or type of organization - receives added value from working closely with our full-service firm. 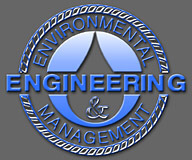 Environmental Engineering & Management Associates, Inc. has performed a wide variety of engineering services to a diverse range of industrial clients throughout the eastern United States, including chemical industries, pulp and paper mills, dairies, animal processing facilities, fruit processing facilities, ladder manufacturing and industrial parks. EEMA has provided water supply studies, well permit applications, permit transfer and renewal applications, operations consulting, energy optimization, compliance assistance with pretreatment programs and process optimization assistance. Over the past two decades, Environmental Engineering & Management Associates, Inc. has provided engineering services to a wide variety of camps and schools throughout Pennsylvania and New Jersey Treatment plant sizes have ranged from 10,000 gpd to 50,000 gpd. In many instances, the wastewater treatment plant had been out of compliance for several years; EEMA worked with the owners and regulators to bring the plants back into compliance expediently and economically.